Party Till The Cows Come Home: From Dairy Month to Ice Cream Month. We are nearly at the last day of June is Dairy Month. I could not go the whole month with out posting about my favorite month of the year. Mind you, I have been ‘celebrating’ in high style. We have been busying ourselves with our cheese and our new non-homogenized / lightly pasteurized whole chocolate and regular milk. We have started three new farmers markets in West Hollywood also in Mar Vista and North Hollywood. We have felt very welcome down south. Here is some of the press that we have received. ABC Channel 30 LA and the LA Times . Also this month was our first cheese delivery to Lassen’s Natural Foods and Vitamins. We are in 8 of there stores. Dairy Goddess is urging you to support our new customers. In honor of dairy month I hope you take a moment to reflect on what the real reason is for this special month. Dairy Council has done a great job sharing the Secrets, Stories and Facts of America’s Favorite Natural Beverage. Please take a moment and enjoy these milk facts . Well now off to July and guess what? Yep, it’s Ice Cream Month So keep the celebration and enjoy plenty of dairy products. It’s been a week now since the discovery of the cow with BSE (Mad Cow). I went of to my farmers market last week prepared for questions and concerns. To my surprise, only two people spoke of it and they were from the Valley and asked if many had asked about the finding. I look at this as food safety testing is working. I am comforted that they found it. I just want to reiterate a few points as I am still seeing some negative articles out there. I think most of those negatives are written by those with another agenda. I consider us so very blessed to have safe, affordable food. The cow was found in a rendering facility in central California. The cow tested positive at a transfer facility in Hanford, 15 miles west of Visalia in Kings County, operated by Baker Commodities. Milk and dairy products do not contain or transmit BSE, and animals do not transmit the disease through cattle-to-human contact. The infectious prions that transmit BSE are found in neurological tissues, such as brains and spinal cords. The United States put regulations in place in 1997 to prohibit ruminant protein from being used in animal feed. This applies to all cattle, dairy and beef alike. Non-ambulatory animals ― those that cannot walk ― are not allowed to be processed at facilities where meat animals are handled. This regulation helps ensure that animals that are unwell are not entered into the food supply. However, the current case in California may not fit the typical mold. “Our laboratory confirmed the findings and also indicated it was an atypical form of BSE, which is a rare form of the disease,” said USDA chief veterinarian John Clifford on Tuesday. “It is not likely to be attributable to infected feed, which is the method in which normally BSE is spread from cow to cow,” he said. “This particular animal did not enter the food supply at any time,” Clifford added. For more background on BSE and the dairy sector, visit the NMPF website. The USDA also has a frequently asked questions section on BSE. Click here. 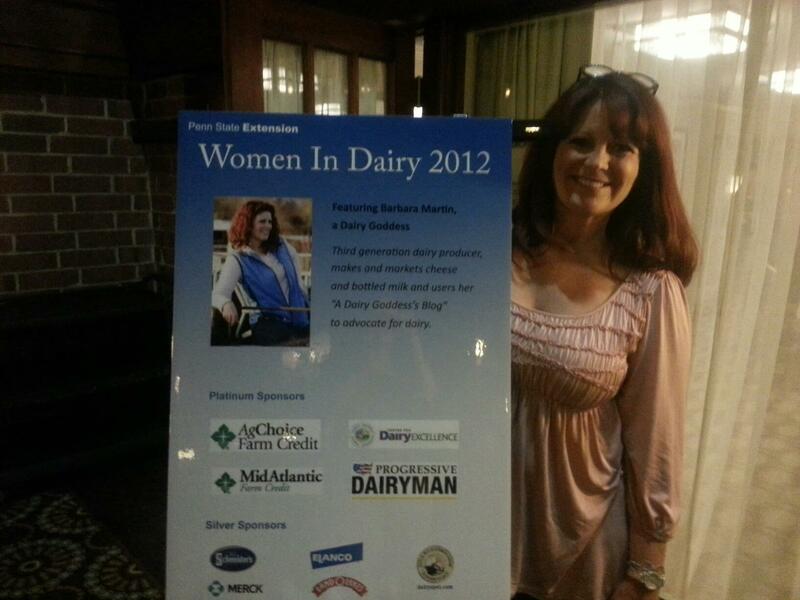 Dairy Goddess Celebrates California Women For Agriculture & Granny too! I have not been as attentive as I would like to my blog but with the holidays and travelling work and cheese there doesn’t seem to be enough hours in the day. Also with the loss of my Granny (age 92) On January 4 th, it just has been so hectic. It seems as I have been posting so much doom and gloom…that is not my style. Life though, gives you “stuff”. Reality TV Show…she was born before her time. My Aunt and family ask for me to do the Eulogy for Granny so I had been deep in thought about my past, my youth. Convention in Visalia on January 7 2012 . I was asked to talk about my journey to becoming an entrepreneur. I was told I had about 30 minutes. WOW, that’s a long time to talk about yourself. I knew I couldn’t just “wing” it. So I wrote, rewrote and wrote again. I am so happy to have had that opportunity. How often do we chronicle a journey? For me a bit of blogging and that, but to start from a life change to where you are at the moment doesn’t usually happen. 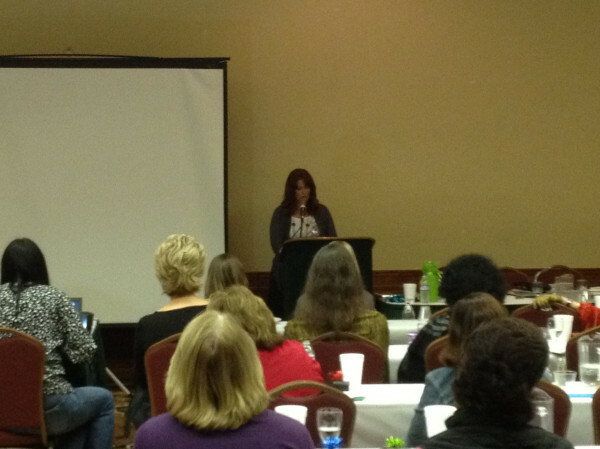 So THANKS to Raquel Avila Leal for having the faith in me to give me 30 minutes of time to share my story. Hello it is a great pleasure to be here this morning and I am honored that I have been invited to speak to you, the California Women of Agriculture. We, here have a common gift. We love and respect Agriculture and realize, first hand it’s importance to our state, our nation, our world. Many of us here are in different aspects of agriculture. No matter from food to fiber we know the power and wealth it brings to our country. We realize what the loss there would all be with out it. We deal with the regulations. We deal with the misconceptions. We are often called polluters. Many people and the media, say we don’t care about the water, the land or the air. They call us factory farmers. No matter what comes out of our fields we have heard the anti-agriculture comments. We know we have the safest food in the world. We know how much we care for our land. It is the same land that many of us were raised on and the land we have raised our own children on. We, the California Women of Agriculture, Know the fight we are in to protect our farms, protect OUR rights, protect our legacies. I am honored to be put in the time slot for you to hear about entrepreneurs. I have lately been called this but still don’t feel that that title really belongs to me. To me I am first and foremost a mother, a wife, a farmer. I have to admit that I can not wait to add GRANDMA to that list…but it does not seem to be in the immediate future. So I will relish in the joy of entrepreneur for now. Please note…professional speaker is NOT one of my titles. I hope to not disappoint you during this time that I have been allotted. I am a third generation dairy farmer married to my high school sweetheart, also third generation dairy farmer. We have been married for 29 years. We have two children. Tara age 25 a graduate of psychology from Fresno State. My son Anthony Joseph Martin the III also know as A.J. age 24, who graduated from Cal Poly San Luis Obispo with a degree in Animal Science. 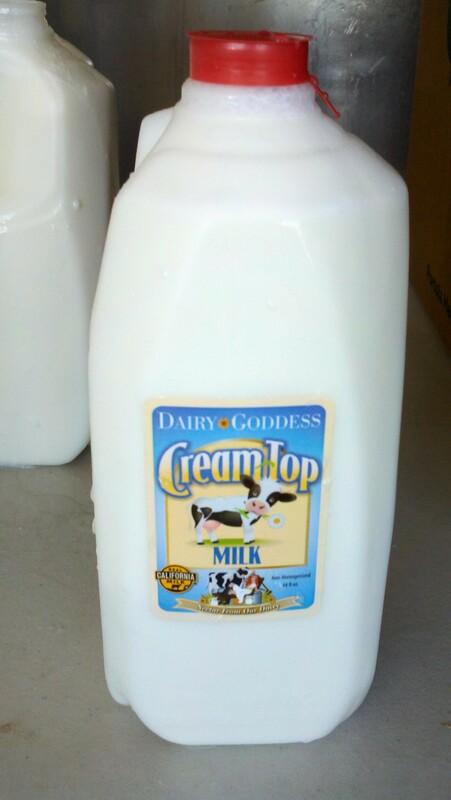 We have our dairy in Lemoore. We moved here from Chino in 2006. We had bought an existing dairy in which we reconstructed the barn. We came with the same amount of cows as we had in Chino and milk nearly 900 head. In Chino it was a whole different way of dairy farming. We did not grow any of our cows feed. We bought it all off site. We were in a partnership with my husbands parents and brother. In deciding to move, we were excited at the prospect of this being OUR dairy. Tony and I, in a and complete full partnership. In every way, from the day to day operation as well as the business of it. Also the thought of growing our own crops was very exciting for us. I am grateful for the experience I had in Chino. There was such a difference in our dairy business plan down south. The men were partners in the day to day business .Us women worked in “town” as my dad would say. In 1981 I became a travel agent. In 1983 I began to working for my mother in law until I bought her out in 1990. I sold the agency in 1999. I stayed on with the new owners until Sep 11, 2001. I sold in 1999 as we began discussing possible relocation of our dairy at that time. AND I just had an inkling that the internet was going to be a tough competitor for travel agents. I then went to work for UPS in there damage recovery (not always the happiest people to deal with) I was grateful though for that experience. It really taught me how to handle people in difficult situations. I then dabbled in title insurance and enjoyed the customer service skills I learned there. I stayed there until I found my favorite “town” job. I worked for the County of San Bernardino Family Court Services in which we did the mediation for custody and visitation for families going through divorce. Working for The County / State as it was in transition at that time was clearly the most eye opening job I have ever had. I was good at it. I liked helping people. I appreciated being appreciated by my judges and supervisors. Being raised on a farm gives you a work ethic that we as farmers don’t even realize that we have.. If I had stayed only with Agriculture…I would not have seen it this. All of these experiences taught me so much. Dealing with people. Speaking with people. Most of all listening to people. When my co-workers asked me “how can you live on a farm”? “How can you eat your own animals”. “How do you stand the smell”. When questioned…I didn’t feel upset…God love em…they REALLY did not know. They were so removed from the farm and where there food comes from. I always liked explaining my life. I knew and appreciated how different and blessed I was. how blessed so many of us our to have these experiences. I also realized that when they got to know me and when they heard MY side of the agriculture story they “got it”. . . also HOW I told my story was important. In words people can comprehend. I had a co-worker ask if we use chains to get calves out of there mothers. I explained that some cows as well as humans need help with birthing. Humans have tools to assist and we have them for cows too. In 2006 we had so many emotions. Moving from all of your friends and our church. Moving out of our comfort zone. I was sad that in September both kids were going away to school. I thought how were we going to meet people? Kids and there schools and activities help to get you involved in your community and with your neighbors. We didn’t know what we were going to do for a house so the 5th wheel was going to have to do. In 2006, we moved right in time for the heat wave to kill 50 of our cows. We were up day and night trying to cool them down the best we could as not all of our shades were up and our fans were not yet working. Those were the most difficult of days. We had our first price drop in milk that year and our reconstruction costs had doubled due to Hurricane Katrina and the availability of supplies. Now that I was completely hands on with our business and with the volatility of the dairy industry I felt that I wanted to do more and fix the ill ways of our industry and quite frankly the greed, corruption, and manipulations that we dairy farmers have to deal with. I became involved the Western United Dairymen where I was elected delegate and also California Milk Advisory Board in which I was elected a director for our district. I also was very active in my co-op, Dairy Farmers of America. There are not many women placed in these positions. I was honored to be elected by my peers, my fellow dairy farmers. In struggling to make our dairy work I decided to bring home our calves from the custom calf ranch. I thought that this was a job that I could do well. It would eventually save our dairy money and avoid the difficulty of transition bringing the calves back to the ranch when they were older. By 2008 I had my calves back at home and they were flourishing. It was about at that time that social media was taking off and I began to dabble. and I didn’t have to work in “TOWN”. As I worked everyday I watched the milk truck drive off with our milk. I thought about how great it would be to do something with it ourselves. Make something right here on the farm. At the end of 2008, I took an Artesian Cheese making coarse at Cal Poly San Luis Obispo. It was love at first touch. Having my hands in the vat. The smell of cooking curds. All the stainless steel… I was hooked. I came back with huge dreams and ideas. 2009 hit our dairy industry. It was devastation for so many. Financially I didn’t know if we would make it through and I am still questioning if I will be able to get financially healthy ever again. Seeing milk checks that come in that barely are enough to feed your cows and make payroll is a stress that I wish on no one. I mean, it’s not like we close up shop for a few days. We are responsible for those animals. God has entrusted them with us. All dairymen are committed to the cows health, by feeding them, milking them, TAKING care of them. When you, as a dairy farmer fear not be able to feed your cows, you forget about yourself. If you do not have a dairy it hard to explain in words. If you have a dairy…you know exactly what I mean. So my thought of producing something on the farm at that time seemed so very far away. But it kept eating away at me. Something kept at me to search for ways to make cheese on our farm. I was becoming more fueled in my plight when I saw that processors such as Kraft, Dean Foods and Leprino had made record profits in 2009 while in my area alone there were dairy farms closing left and right. We had 4 suicides from distraught dairy farmers in our area alone. I felt so out of control. Here we make a product, milk, and we have all of this risk yet we have NO control of what price we are going to receive. On top of that we have to pay for the delivery of our milk to our processors. Yet THEY have control of the price they receive. that is for another time though. It is a battle that will continue. 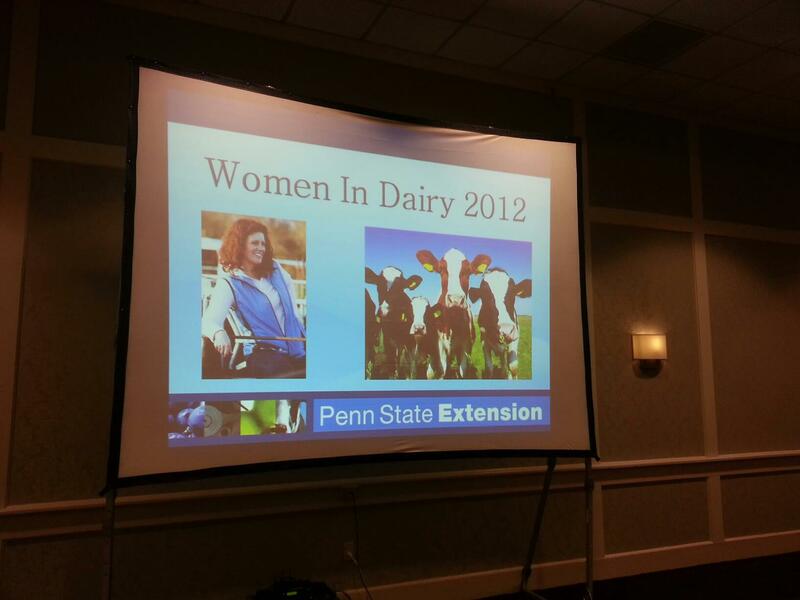 In early 2009 I contacted my dairy products inspector whom I had met at Cal Poly during my class. He told me that we were about the 52nd dairy he had visited in a year or so looking into building a processing plant. He had only one that had started the process officially. As we were sitting in my husband’s office at the dairy with my husbands feet prompted up comfortably on the desk as always. I thought my husband was going to fall back off of his chair. but I did proceed to tell my inspector that I would like to have it done within a year. He kind of chuckled and said…you first need to get your husband on board. In the mean time I had been experimenting in my house. Everyday a different recipe of cheese or flavor. I felt like my mind was never at rest. Along with this I started blogging. It was the scariest thing that I ever had done. Exposing myself, my family, my farm on video and in words. It was one of the biggest decisions of my life. I introduced my cow Chica who became quite the star. She was a cow I raised from day one and she was special. She was a diva. People loved her and connected. I am a women of faith. I believe that God gives us his plan in ways that we are not always expecting. That blog. A Dairy Goddesses Blog gave me the courage to pursue my dream of cheese. It gave me confidence to continue on. My first investment in Dairy Goddess Farmstead Cheese was my logo…yes a logo without a product. Having enough experience off of the farm and with social media. I knew marketing was half of the battle. “BRANDING” yourself was another part of the equation. I felt like I always had a back up plan for my expenses and my investment in Dairy Goddess Farmstead Cheese. I thought, worst case scenario…I would use it for my blog heading and it would make such a cute Avatar. I continued, by the grace of God and things kept coming together. I had a recipe that I loved. My family loved. My friends loved. I felt confident with it. I decided to start off with it, it is a French Style Fresh Cheese, Natural and with flavors. A Fromage Blanc. It was different than my competitors. It was a niche and it was affordable even in a specialty market. It was a perfect cheese for a “foodie on a budget”. We did as much of the work in the reconstruction from office to cheese plant. My poor husband watched his “man-cave” / office disappear before his eyes. Never with a complaint…God love him. I knew he wasn’t fully on board, poor thing. He was supportive and did so much of the physical labor. I promised him that whatever money I put into this I would sell enough cheese to pay that amount back. Even if I had to sell my cheese on a street corner. Even if it took me 20 years. My husband and my inspector saw it coming to life. I saw it coming to life. Working day and night. I still managed to study for my pasteurization license. I worked with the construction workers that we had to bring in for the work we could not tackle ourselves. On August 12, 2010 I received my plant certification AND my pasteurization license. He told me that I was the 2nd plant approval he had in the two years that we had met. It was an emotional day to say the least. Poor guy he didn’t know what to do…but was patient with posing with me for pictures for my blog. Since I had a fresh cheese I felt that that was an advantage. It takes basically 3 days from cow to package. I was able to sell my first batch on August 19 2010 at Hanford Farmers market. I immediately placed product in the Portuguese Bakery in Hanford. It was at that first farmers market that my husband realized that this just might work. By my side, giving samples he relished in everyone’s delight. By seeing the sales at the end of the night, he said I really do think we have something here! I told him that I was sure glad he thought so. Those first months I processed about 100 gallons in a month. By my 1st anniversary in August of 2011 I was processing over 250 gallons a week. I was in 14 farmers markets from Santa Barbara to Walnut Creek. I am in 3 specialty stores. I am in two Whole Foods Markets and in Spring 2012 will be in two more Whole Foods Markets in the bay area. They will put me in as many stores as I can accommodate. That is now one of my obstacles…being able to accommodate the orders. My daughter upon graduation from Fresno State came to work with me full time. My sister in law and Uncle help on processing days and I have 3 part time farmers markets representatives. We now realize that we are at a cross roads. We have to make decisions of expansion OR We have to decide if we want to stay this way and keep doing what we are doing. Both decisions have their challenges. To stay the same keeps us completely hands on and labor intensive. We are not as efficient and we could be. We can not grow very much more due to our size and storage facility. To expand means capital. It means more risk and more work to obtain and keep markets and be even more price competitive. I realize that I will need help and professional opinions for my next phase…whatever it is. I have out grown myself…even considering it started so small. It was built with my heart with my blood, sweat, and tears. Dairy Goddess Farmstead Cheese is ME. I have to admit…it makes me very proud. I reached my first goal even faster than I could have imagined. I can see and feel in my heart is that there is so much more potentional… with that in my heart it’s hard for me to sit still. So stay tuned…not quite sure the next step for Dairy Goddess Farmstead Cheese but a step… or maybe even a leap, I will take. Of course…If that is what God has in store for me.